Car radios today have to fulfill a large number of consumer requirements, for example digital radio, AM and FM reception, mobile telephony, audio from a variety of sources, large touch screens, soft and hard keys, voice-operated control and smartphone apps. Even for vehicles in more price driven segments, radios have evolved from simple tuners and amplifiers to proper entertainment hubs. With the dawn of the connected vehicle, as well as different standards and operating systems from consumer electronics, the trends show that the complexity of car radios is increasing. To cope with these challenges, the international technology company Continental has developed a progressive vehicle radio platform, which allows control of numerous individual functions on one processor, ultimately reducing hardware to a minimum. “Complexity for vehicle entertainment is increasing rapidly. 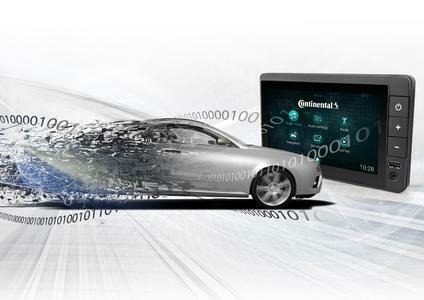 With our new radio platform we can now offer a solution, which not only copes with a vast variety of functions, but is highly cost effective and usable for vehicle manufacturers worldwide,” said Johann Hiebl, head of the Continental business unit Infotainment & Connectivity. The main approach behind Continental’s radio platform is simple: Replace cost intensive hardware with software, wherever possible. To achieve this reduction the Continental radio platform is built on a highly optimized system on chip (SoC). It has a multi core processor at the heart of the platform that is handling all human machine interface, connectivity and audio-post processing related functions, as well as an integrated vehicle controller and a digital signal processor (DSP) that is enabling the core radio technology of the new platform – the Software Defined Radio (SDR). The SDR integrates analog and digital radio standards such as AM/FM, DAB/DAB+/ DMB, DRM and HD radio worldwide on a single hardware. New standards can be enabled by software update as they become available in different regions, for example Chinese Digital Radio (CDR) in China. “The Software Defined Radio technology allows us to use the radio platform for different markets worldwide without making drastic changes to the hardware. As a result, we can keep research and development efforts as well as time to market low,” Hiebl said. 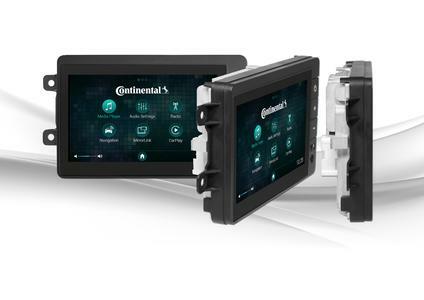 With audio coming today typically from broadcast, as well as from drivers’ or passengers’ digital devices connected via Bluetooth or USB / iPod connection, Continental’s new radio platform does not include a CD player. Thanks to the reduction of hardware components achieved by using an optimized SoC, it features a 40mm deep flat panel design head unit, supporting capacitive touch screen, HD resolution and class D amplifiers. For vehicle manufacturers, this flat panel approach allows for great freedom when it comes to interior design. Drivers on the other hand can enjoy a great variety of functions and connected services in a safe way, since the platform is capable to mirror applications and content from smartphones via different standards such as MirrorLink, Android Auto, Apple CarPlay or Baidu Carlife. “To reduce driver distraction, it is one of our main objectives to keep drivers from using their smartphones behind the wheel. 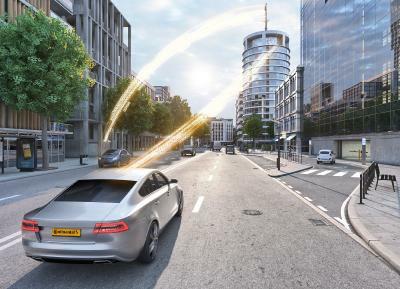 By mirroring apps on our radio platform, we connect the driver to the services that matter to them by safely integrating them into the human machine interface of the vehicle,” Hiebl said. To further enhance safe operation Continental individualizes applications so they can be controlled on the touch screen, via buttons on the steering wheel, or via voice control. With in-depth knowledge based on over six decades of experience, Continental provides tuner technologies for optimal entertainment in every driving situation. As far back as 1953, the company was producing the first car radios in Wetzlar, Germany, followed by many other successful products such as Continental’s first high-end color radio, launched in 2011, featuring the first software-based DAB solution – a predecessor of today’s Software Defined Radio. 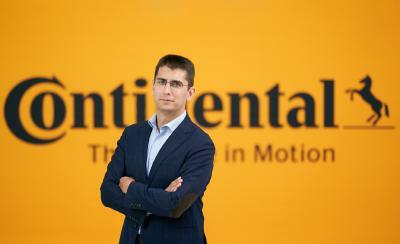 Since 2007, Continental has sold more than 40 million radio units to customers worldwide. 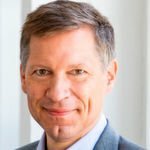 “Continental not only builds upon decades of experience in the world of radio and infotainment, but also operates pioneering laboratories, test stations and simulators in all major infotainment development locations,” Hiebl explained. 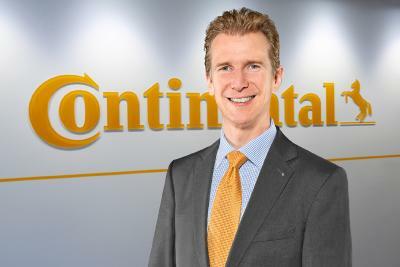 Continental today has major development locations in Wetzlar and Regensburg in Germany; Rambouillet, France; Singapore; Deer Park, Illinois; and, Shanghai, China – guaranteeing the ability to serve the global markets with tailored solutions worldwide. This global footprint allows Continental to test and safeguard functions in extensive laboratory studies as soon as the first prototypes of new devices are available. Continental has also developed its own simulation system to test new radio components virtually before the first circuit board is soldered or the first housing is pressed. This optimizes and speeds up development, guarantees the highest quality from the outset and gives Continental and its customers a significant advantage with regards to time, cost and quality. Information management in and beyond the vehicle is at the very heart of the Interior division. The product portfolio for different types of vehicles includes: instrument clusters, multifunctional and head-up displays, control units, access control and tire-information systems, radios, infotainment systems, input devices, control panels, climate control units, software, cockpits as well as services and solutions for telematics and Intelligent Transportation Systems. The Interior division employs more than 36,000 people worldwide and generated sales of approximately €7 billion in 2014.